JACKSON, Miss. 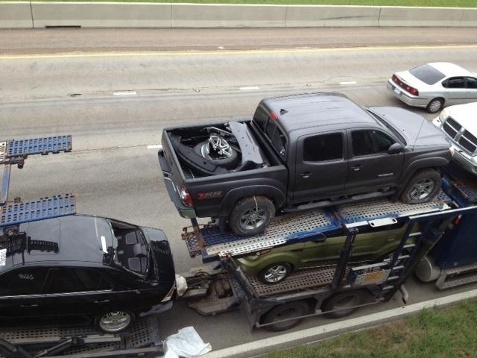 —A vehicle fell off a car carrier on Wednesday, causing a crash on Interstate 55 in Jackson. Police said the car carrier was too high and hit a bridge, which knocked a Nissan Xterra off the truck. “I was not low enough and I guess when it hit, since i didn’t have cars in the back, it just flew off,” said truck driver Tony Izaguirre. 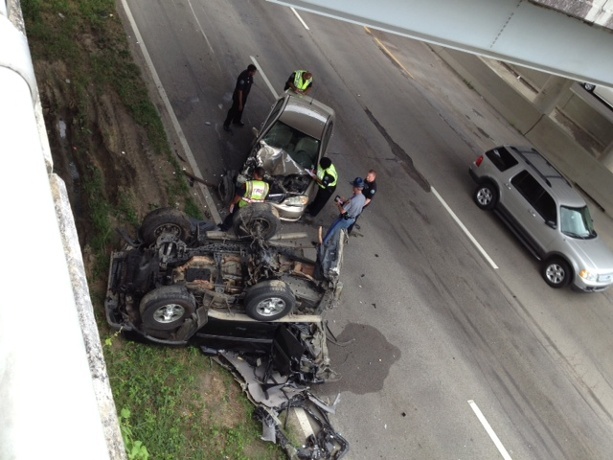 Another vehicle hit the Xterra when it fell off the truck, police said. The female driver of that vehicle was taken to the University of Mississippi Medical Center. Her name and condition were not immediately known. Isaguirre said he heard a pop when the SUV flew off his truck. “The bridge was high enough. It was my fault,” Isaguirre said.